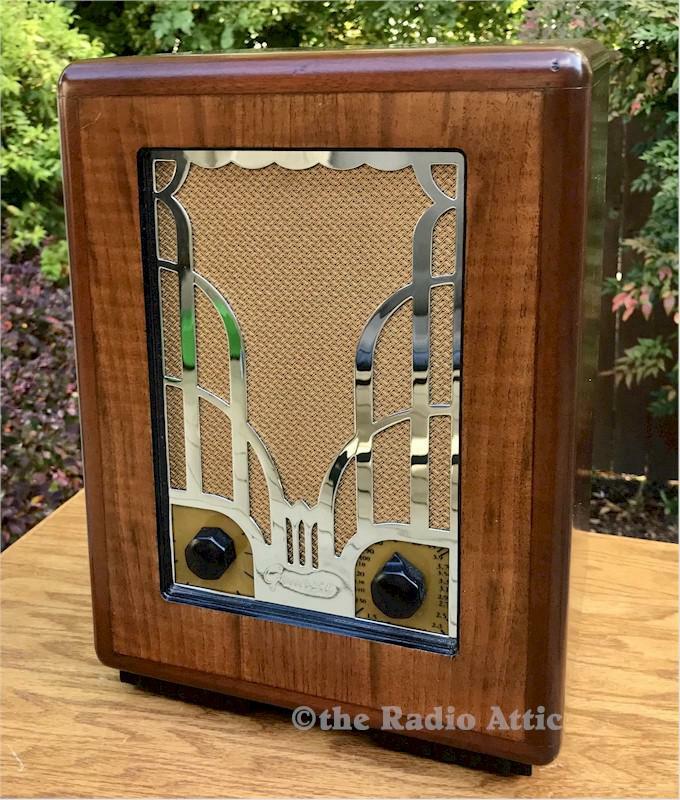 Another completely professionally restored radio, inside and out! This 1934 Grunow Chrome Grille is as nice as they come. The grille has even been re-chromed, and looks perfect! It will look great in your collection! Medium sized tombstone: 13-1/2"H x 9-1/2"W x 7"D.